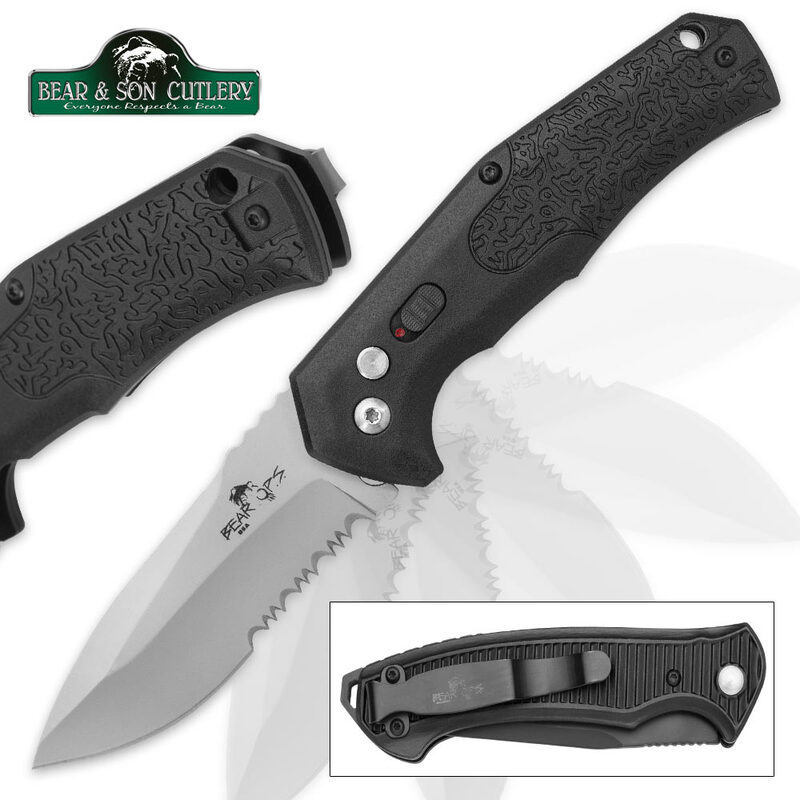 New from Bear Ops, the Bold Action line gives you a fast-opening auto pocket knife that will get the job done whether you’re on a mission or using it for day-to-day tasks. 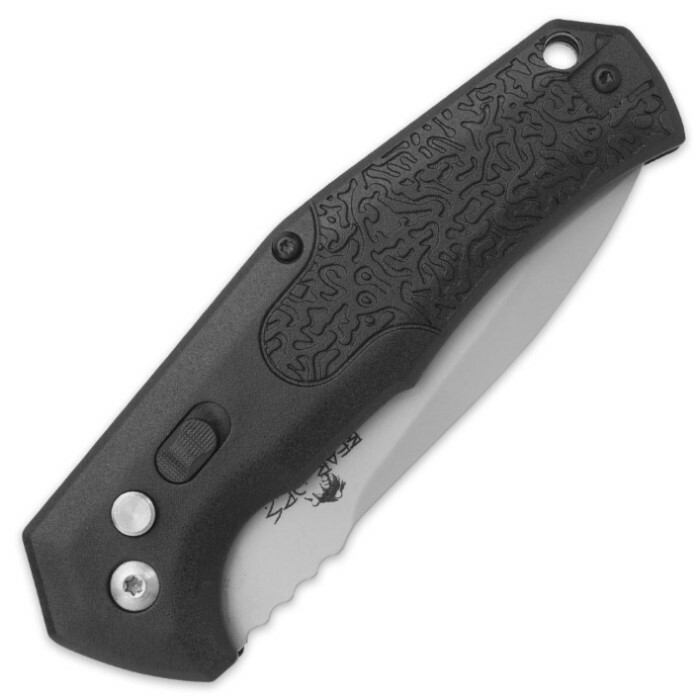 It has a 3 1/8” Sandvik steel blade with serrations. The black Zytel handle gives you a firm and secure grip when you’re using it and the blade opens with a firm push of the recess button. A safety slide ensures that there are no misfires. 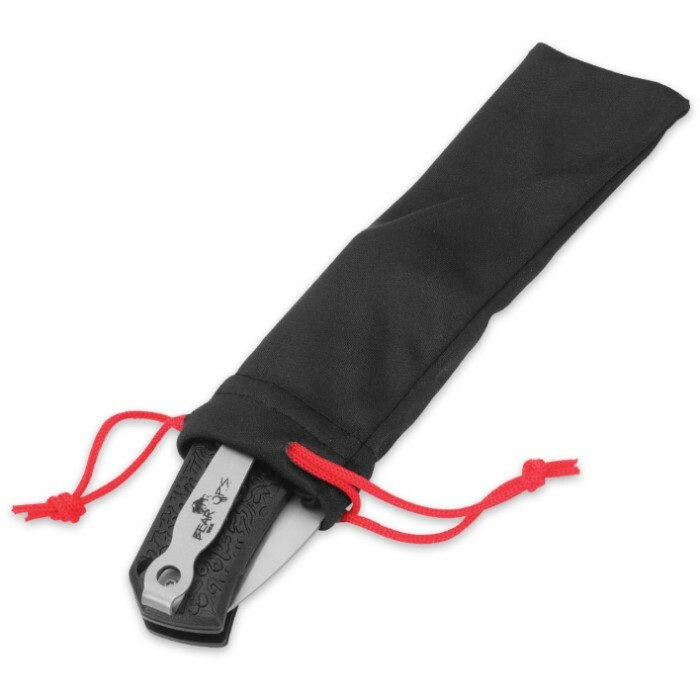 The pocket clip provides for tip up carry and quick access. The pocket knife is 4 1/4” closed and made in the USA.